You have been prodded and cajoled for years by your friends to go ahead and get LASIK surgery. Now you have finally decided to do it, but before you go any further, there are 4 questions to ask yourself before you have LASIK. Keep in mind that once you resolve to move forward, that’s not the end of the decision making. The next part is even more critical. These 4 questions will solidify your decision and get you ready to change your life with LASIK. Do I know the Surgery is Safe for Me? The first and very important step in the journey to better vision is the LASIK evaluation. In order to know for certain that LASIK is the right vision correction for your eyes, you must undergo a comprehensive LASIK evaluation. A quickie screening or exam will not provide the information necessary to make that determination. In order to know any patient is a candidate for LASIK, they must have a dilated exam with a series of specific tests. The purpose of the evaluation is to eliminate any patients who are not good candidates due to a healing issue or some other impediments to a successful and safe outcome. At OptiVision Eye Care all LASIK consultations are detailed and FREE. Have I Found an Eye Doctor that I Trust? One of the essential issues in deciding to have LASIK surgery is finding the right doctor. But what does that mean exactly? You should search out one who is both experienced with LASIK surgery and has a record of great results. Experience plays a major part in being comfortable with your doctor. You wouldn’t have your family doctor perform heart surgery so find someone who is a specialist in their field. In addition, find a doctor who is approachable, listens, and answers every question. The team of surgeons at OptiVision Eye Care has the expertise and reputation you are searching for. 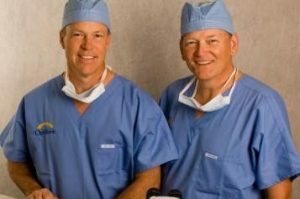 Dr. Stephen Dudley and Dr. Gerald Clarke are both accomplished LASIK surgeons and pioneers in the development of laser vision correction. Am I Confident I will have Excellent Results? Once you know 1) you can safely have LASIK and 2) found the surgeon you trust, the next question is all about the technology. Old technology in the hands of even the best surgeons will still only give you mediocre results. That’s just not good enough anymore. Look for state-of-the-art refractive technology. You find that at OptiVision Eye Care with the bladeless iFS Advanced Femtosecond Laser System and the Visx Star4 Excimer Laser with CustomVue. This advanced technology provides the most precise and safest results available. It is combined with the extreme precision of the WaveScan technology to give you vision even better than with your lenses, and a 3D tracker to follow even the most minute movement of your eyes during surgery. It is the same exact technology approved by the US for its fighter pilots and astronauts. This combination of advanced technology coupled with the level of expertise found with the surgical staff at OptiVision Eye Care affords patients unmatched LASIK outcomes. If you require superior results look no further than the professionals at OptiVision Eye Care. Am I Motivated Enough to Have LASIK Surgery? When it comes right down to it, you must be motivated to go through with the surgery. Lots of patients are nervous and anxious as the day nears, and this is perfectly normal. The anticipation of an overwhelmingly positive outcome motivates and excites these patients. They know that shortly they can toss their lenses away and begin to enjoy life, without having to worry about their glasses falling of while playing with pets or kids. So what would be some indicators to tell you that you are motivated and ready to have a lens-free lifestyle? Being really tired of dealing with my glasses or contact lenses every day- all day. Understanding that LASIK is surgery and there could be complications, but also recognizing that the complication rate is extremely low. Most complications are mild and temporary! Knowing that I will be treated using the most advanced refractive surgery technology to give me the best results. 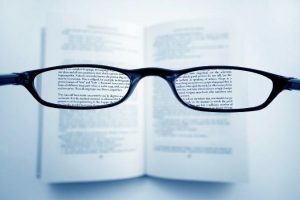 Realizing that I might need glasses for certain activities, but all that was explained to me in detail at my free evaluation. Secure in the knowledge that LASIK is a safe procedure for me. We have reviewed the 4 questions to ask yourself before you have LASIK. They are significant and should be taken seriously. They will assist you in choosing the right doctor, the best technology and securing the best results for your individual eyes. Contact the eye professionals at OptiVision Eye Care for your free LASIK evaluation.